Despite being around since the 1930’s the Social Security system is still misunderstood and mischaracterized by many people. 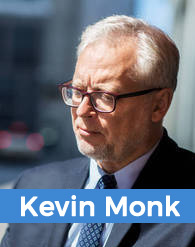 Social Security for Dummies helps to break down this complex system of retirement benefits in order for the average person to have a better understanding. Readers will learn everything from how many benefits to expect and when to claim them. This book covers a host of topics surrounding the social security system and the implications following for individuals. Some topics covered in the book include learning how Medicare and Social Security work together, understanding the different benefits provided, advice on when to start collecting, how to file for benefits, filling out the paperwork correctly, protecting dependents and more. Check PriceThe book is written in a very readable style that makes every point very clear and concise without sounding condescending. The style is laid back and informative making it very inviting to read. The target audience is anyone interested in learning more about how the Social Security system works. The average reading time of the book is around a few weeks when reading on and off. The author, Jonathan Peterson, is a former executive communications director at AARP and an award-winning journalist. Social Security was originally not intended as a primary income for retirees, but rather a supplement for those who couldn’t save enough money. This book taught us that each person’s final benefit is calculated around their 35 years of employment. For example, if you work under 35 years, your total benefits will be lower. From this book, we learned that dependents can be affected by an individual’s Social Security plan. There is a particular time when it is best to claim benefits from the Social Security system. We learned that individuals should start caring about their retirement benefits well-before retirement age. Working in old age can actually decrease the number of benefits that an individual receives from the Social Security system. Social Security for Dummies was a well-written book overall with several advantages. The text was easy to read and understand, making it a great book for all those new to the Social Security system. The author was able to break down complex ideas into digestible pieces of information. We appreciated how the book, geared towards beginners, stuck to that theme without diverging into more detailed or dense information. Social Security for Dummies stayed true to that theme without sounding patronizing or authoritarian. It felt as though the author was a friend explaining the ins and outs of the Social Security system without any feeling of superiority. This made it a very comfortable and easy read. Another thing we liked was the organization of the book. Each section was laid out in a clear manner that made it easy to navigate and search through the book. Despite being a fan of the book overall, there were some components that we didn’t like so much. At times, the book remained a little too basic. After laying the groundwork for a basic, yet firm, understanding of a particular subject, the author continued extrapolating on the basics without building upon them. We feel it would have been more beneficial to provide some more important details after establishing the foundation, rather than simply repeating the basics. We understand this book is for beginners. However, in order to get a practical understanding of the Social Security system, readers have to understand the real-world implications. 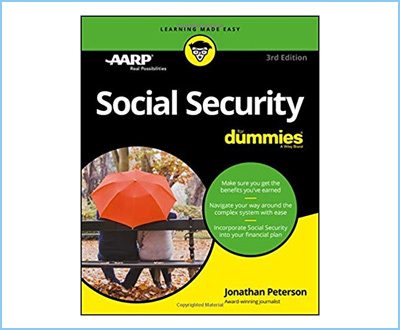 Social Security for Dummies is an excellent introduction to the often-complicated Social Security system. This book is important for individuals of all ages and backgrounds to understand as the Social Security system impacts all citizens of the U.S. This book does an excellent job of making this often dense information accessible to people on all levels of familiarity with the subject. There are key pieces of information and advice that can help anyone confused about how to deal with the Social Security System. We encourage you to share your own thoughts, questions and experiences surrounding this book with us.